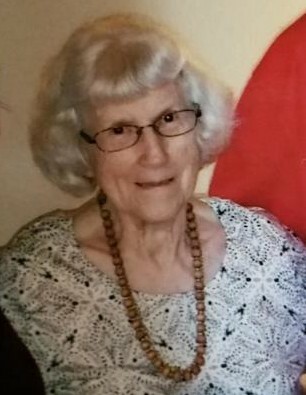 On January 15th, 2019 Rhoda Harriet Fewkes Sabey peacefully left this earthly state to be reunited with those whom have passed on before her. Rhoda was born on March 1st, 1927 to Walter and Selena (Bowen) Fewkes. She married her sweetheart, Curtis Eldon Sabey on November 2, 1946 and was sealed for time and all eternity on February 9, 1965 in the Oakland California temple of the Church of Jesus Christ of latter-day Saints. Her family and faith meant the world to her and she dedicated her life to them. Rhoda is preceded in death by her grandson, Vaughn Michael Mestas and her husband, Curtis Eldon Sabey. Survived by James and Cherie (Sabey) Mestas, Ronnie Sabey, Brent Sabey and Tina Sabey as well as seven grandchildren and six great-grandchildren. The love our Mom and Grandma felt for us was a love without condition. She may not have approved of everything we did, may not have liked some the decisions we made, but she didn’t lecture, she didn’t judge. She just kept loving us, letting us know that she was there and if we ever needed her, we could count on her to listen, to comfort, to help. Kind, genuine, caring, positive, selfless are a just a few words to describe who she was. She lived a simple life. It didn’t take much to make her happy – a phone call, a card, a visit or a hug. We were the most important people in the world to her. She lived to make our lives better and was proud of us. Money can be squandered and property ruined, but what we inherited from her cannot be damaged, destroyed or lost. It is permanent, and it keeps her from becoming just a wonderful memory. It allows her in so many ways to remain just as alive as always – alive through us. Funeral services will be held at the Rockville Cemetery Chapel in Rockville California at 10:00 am on Wednesday January 23, 2019.